Eighteen years after she fled, Miranda Schuyler returns to Winthrop Island in search of healing, but finds that little has changed except her own family. I’ve had ups and downs with Beatriz Williams novels, but was eager to try another. Historical fiction spanning 2 decades and told in multiple timeframes. Liked the idea of the island’s class conflicts. 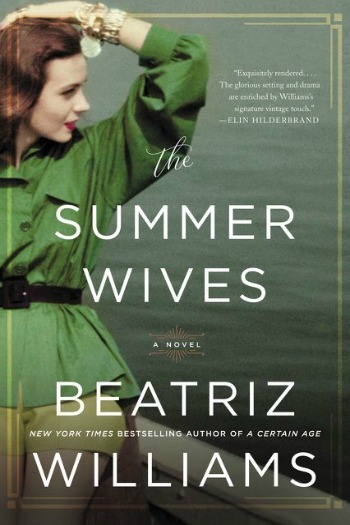 Quintessential Beatriz Williams – If you’ve read much Beatriz Williams before you know that most of her books have a bit in common and The Summer Wives easily fits into what Williams does best. Accurate historical fiction with a lovely atmospheric vibe to it. Dramatic story of a woman facing and overcoming obstacles. Island Life – I very much enjoyed Winthrop Island in the 1930’s, 50’s and 60’s as the setting for The Summer Wives. Williams was able to do so much with this small isolated locale. To the locals it was home where they ran the shops, worked as lobstermen, went to church and in the summers served the families that swarmed to the island. Though the locals and the summer inhabitants were outwardly friendly, the class distinctions were dramatic and systemic. Nowhere was that more obvious or more life changing than in the forbidden attractions that ran through this story. Miranda – Most of The Summer Wives unfolded with first-person narration by Miranda Schuyler. She first arrived on Winthrop Island in 1951, fresh out of high school and there to attend her mother’s wedding to Hugh Fisher, one of the wealthiest of the summer inhabitants. Miranda spends the rest of that summer with her new stepsister, Isobel, learning the ins and outs of island life. 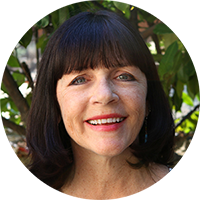 Eighteen years later she returns, a famous actress, looking for the island’s solitude to nurse her broken heart. Miranda’s back and forth telling of the island’s history through her limited lens worked very well and kept me wanting more. Weak Women – As much as I liked Miranda as a storyteller, I found her to be frustrating in that she tended to let others dominate her. As a 17-year old thrust into a level of society she’d never really been a part of this made sense. However, it seemed she should have gathered a little more wisdom as she aged. I don’t want to give away anything in the story, so I’ll just say that I also found both Isobel and Miranda’s mother to be disappointing to me as females. It especially seemed out of character for Isobel, so outgoing and social in the beginning, to lose much of herself over time. The Mystery to the Story – I found the “unknown” element to the story unsurprising, and just a little hard to believe. It didn’t matter much to me that I was able to predict what had happened because I still enjoyed the journey, but I wish Williams had provided a little more of the backstory to make her twist just a little more real. Note: I received a copy of this book from William Morrow (via Edelweiss) in exchange for my honest review. Oooh – Seven Husbands comparison! I might try this but the unsurprising mystery element is a turn-off. Just to be clear….I liked Evelyn much more! I love Beatriz Williams and I think she does a great job setting a scene. I’m a little disappointed to hear about the weak women in the story, since she usually has a headstrong female main character. The weak-ish women was definitely a change for Williams.I’d be interested to hear what you think of them after reading Summer Wives. I’m glad to hear that you liked this, even if it wasn’t an excellent read. I have it coming up in my library holds and I’ve been needing something a little lighter! It won’t make my top ten, but still it’s a nice summer read. I’m heading up to Tahoe for a couple of days and paused my library holds. If time gets tight I’m afraid this would be one to slip off my list. Enjoy Tahoe. It’s one of my very favorite places! Hmm yes I wondered about Isobel totally almost losing herself so much over time – I was thinking WHAT? when we meet her later on. Yes the mystery part was predictable but that’s okay by me. I enjoyed it really. Hmm I have been tinkering with listening to the Evelyn Hugo book so must now put it on the highly likely listen list! I can almost guarantee that you’ll love the Evelyn Hugo audiobook. I couldn’t stop listening. It was wonderful! I did finally read this, although I thought about DNFing frequently. There was a lot to quibble with. I read one review mentioning that the 1951 timeline wasn’t well described and I agree. That dialogue was a bit cringe-worthy. And the 1969 timeline characterizations of Isobel and Miranda’s mother were unbelievable and one dimensional. The mystery part was alluded to over and over, even before it happened! What perplexes me is how this is considered “historical fiction.” As none of these characters were real, I don’t agree with its being categorized as “historical fiction.” More a period piece. This was my first Beatriz Williams … will be the last. Ohhhh, but Tahoe was fabulous!